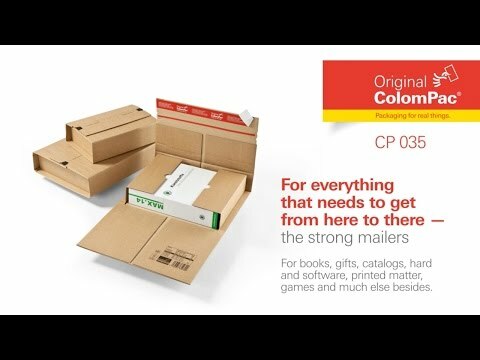 Colompac CP035 centre-filling, high quality bookwraps are ideal to pack your books, catalogues or brochures. - Manufactured in heavy duty E-flute corrugated board. - Double thickness closing flaps for extra stability. - Protection against damage and punctures during transit. - Quick and easy to pack with a self-adhesive strip. - Central filling style with variable depth up to 92mm. - Premium quality Colom-Pac branded (CP035). Lead time approx 5 days.